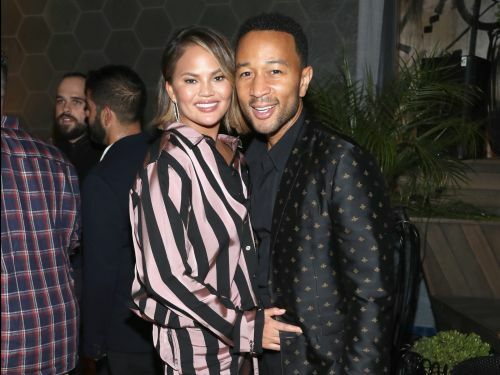 After five years of marriage, it's safe to say that Chrissy Teigen and John Legend have one of the most enviable partnerships in Hollywood: the celebrity pair and parents of two are excelling in their showbiz careers while still appearing to keep up a delightfully blissful relationship together. Chrissy Teigen and John Legend got married on September 14, 2013. For their fifth wedding anniversary, Teigen posted a throwback photo from their big day on Instagram . "We have two babies and some pups and a life I am grateful to have," Teigen wrote in the caption. "My everything, I love you and am so proud of the story we've created." She also revealed that their wedding anniversary is also the same date they met 12 years ago, on September 14, 2006. The couple met on the set of Legend's 2007 music video for "Stereo." A 20-year-old Teigen played the singer's love interest.